Can You Boost Your Immune System? Can you ‘boost’ your immune system? 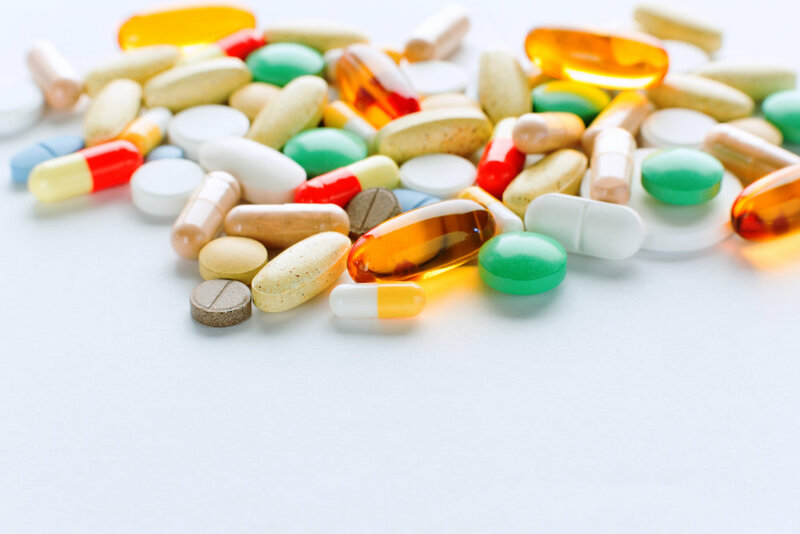 The UK supplement industry is worth a whopping £414 million, with 30 million adults now taking food supplements every week (and nearly half of these are on a daily basis). It’s not surprising – the health claims on some of these supplements are extremely enticing: ‘reduce tiredness and fatigue’, ‘maintain health and vitality’ and the one I see all the time: ‘boost your immune system’. But is it possible to actually ‘boost’ your immune system? Well, scientifically, the concept of boosting your immunity makes very little sense. If a product claims to boost your immune system, which cells in particular are they claiming to boost numbers of, and how? Your immune system is truly astonishing, with countless different types of cells involved – phagocytes (like macrophages and neutrophils), lymphoid cells, mast cells, eosinophils, basophils and natural killer cells, to name just a few. Each of these types of cell has multiple sub-groups too. Then there are all the proteins involved in cell signalling and the inflammatory response like the numerous types of eicosanoids and cytokines. What’s more, the immune system acts intimately with other systems such as the endocrine and nervous systems. So if we want to boost our immune system, which of these cells do we want to boost, and to what number? What is the best ratio of cells the immune system needs to function optimally? Scientists simply don’t know the answer. Can you boost your immune system with supplements? Let’s take a look at some of the evidence around specific examples. Vitamin C is probably the first vitamin people think of when asked about immunity. But, does taking it in supplement form actually prevent us from getting ill? Recent meta-analysis results (the ‘gold standard’ of scientific research, more on what research to believe here) showed that in fact it doesn’t make any difference to the chance of catching a cold (1). It did show that taking vitamin C during a cold can reduce its duration, but only on average by 7.7% - just a matter of hours rather than days. What about antioxidants? Beta-carotene and vitamin E are important micronutrients necessary for antioxidant functions and a healthy immune system. But when taken in supplement form, do they actually help? Well, recent meta-analysis results (remember, these are the best forms of research we can ask for) show that supplementing with beta-carotene and vitamin E can in fact increase our risk of death (2)! The same goes for higher doses of vitamin A. Not exactly the health benefits you might expect. This might sound quite bizarre, because we know that we need all of these vitamins in our diet – the very definition of a vitamin is “an organic compound essential for our health that’s required in small quantities in our diet because they cannot be synthesised by the body”. Well, the reason is that when we get these nutrients naturally through our diet, we’re eating so much more than specific, singular nutrients in isolation, like we do when we take vitamin supplements. For example, fruit and vegetables contain thousands of protective bioactive compounds, including vitamins and minerals but also antioxidants, polyphenols, proteins, fibre, and fats. These compounds interact with each other through numerous, complex mechanisms within the body, to provide some incredible health benefits. Taking vitamins and minerals in supplement form simply can’t replicate the complexity of whole plant foods. So what can affect our immune system? It’s true that malnutrition and deficiencies can negatively affect our immune system. For example, it’s been shown that nearly one on five adults in the UK have low vitamin D status (3) and this is associated with increased susceptibility to infection (4). This could be why vitamin D is one of the cases where supplementation has in fact been shown to reduce our chance of infection (5,6). But seeing as such a large proportion of the population are deficient in the UK, this effect is most likely because supplementing helps to reduce the number of people with a deficiency to ensure immune systems are working normally, rather than ‘boosting’ it to some level beyond the body’s natural functions. 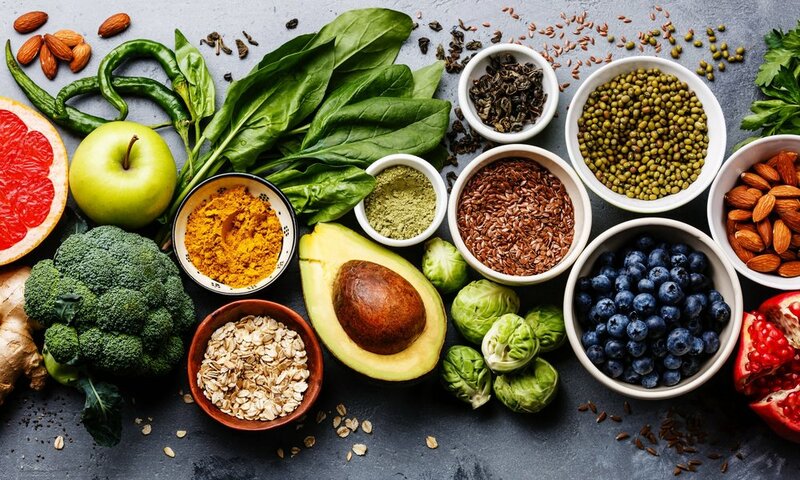 In general, the best way to prevent deficiencies is simply to ensure you’re eating a balanced, varied diet every day, containing lots of fruit, vegetables, whole grains, pulses (like beans, lentils and chickpeas) nuts, seeds, herbs and spices. For example, increasing our fruit and vegetable consumption has been shown (again, in meta-analyses) to not only reduce our chance of infection (9), but can even protect against asthma (10), cardiovascular disease, some cancers (11) and diabetes (12). In fact, increased fruit and vegetable consumption has been shown to decrease our overall mortality risk – that means dying by any cause (11). Equally as impressive health benefits have been shown for increased consumption of whole-grains, legumes, nuts and seeds (probably one of the reasons why vegans tend to live longer). If there were a supplement that could boast results like this, it would sell out in record time. In fact, I imagine the government would insist on everyone taking it. That’s why the Meat Free Fitness nutrition guides recommend saving your money on unnecessary supplements and getting most of your nutrition from the best multivitamins known to man – whole plant foods! Regular exercise has countless, significant health benefits, ranging from physiological effects like improved cardiovascular health, to mental benefits such as reduced stress and anxiety. So exercise contributes to general good health and therefore to a healthy immune system. More specifically, it can improve circulation, which allows the cells and other components of the immune system to move through the body more freely and do their job more effectively. There’s even an exercise-induced surge in immune cells. These effects could help explain why regular exercise decreases our number of sick days with the common cold or other upper respiratory tract infections by 25-50% (13). So don’t forget to move your body (in whichever way you enjoy the most) every day. The science behind the effects of stress on immune function is a little more difficult to understand, because it’s a difficult topic to study. Stress is subjective and can be difficult to define. Nonetheless, research shows that stress can influence health in a number of ways, such as raising blood pressure, causing gut issues like irritable bowel syndrome, heart disease, and reduced immune function. There are many ways in which long-term stress can affect our immunity, for example the higher levels of pro-inflammatory cytokines associated with stress. In the short-term, this inflammation is a useful response for eliminating pathogens and initiating healing. But long-term, systemic inflammation associated with prolonged stress can impact our immune system and increase risk of chronic diseases (14). It’s not always easy to avoid stress, but you can manage it by taking time out, moving your body, getting out in nature, or practising some mindfulness. Scientists are discovering just how important sleep is for a huge number of health issues. And among these are immune function. In controlled studies, those who slept less than five hours a night were more than twice as likely to develop a cold than those who slept seven or more hours (15). So if you can develop healthy sleeping habits and get to bed a little earlier than usual, you may be much less likely to get ill.
Did you know that the number of bacteria, viruses, and fungi that our bodies host in our gut (as well as on our skin, mouth, lungs, fingernails etc) outnumber our bodies’ own cells by ten to one? This is another area of research where scientists have been making big discoveries in recent years. For example, it’s been shown that eating lots of fibre-rich foods like fruits, vegetables, whole grains and legumes, feeds bacteria in our colon that produce short chain fatty acids (SCFA) during fermentation. These SCFAs regulate the function of the regulatory T-cell network that may contribute to the systemic control of immune responses (16). On the other hand, the antibiotic residues found in meat and dairy (more than half of antibiotics sold in the world are used for livestock (17)) can impact negatively on our gut microbiome (18). So cutting out animal products and replacing these with lots of whole plant foods can really improve our gut bacteria profile and in turn help our immune system. Probably another reason why vegans tend to live longer. We all know that drinking too much and smoking are bad for our health. But did you know they can even effect our immunity? Numerous studies have shown the negative effects of smoking on both our adaptive and innate immune responses (19). And excessive alcohol consumption has been associated with greater likelihood of sepsis, alcoholic liver disease, certain cancers, and even slower and less complete recovery from infections (20). So try cutting back on the booze and if you’re a smoker then take advantage of all the help that’s available to help you quit. Your immune system really is incredible. Most people who are in general good health already have a perfectly well-functioning immune system, and taking supplements or superfoods won’t ‘boost’ it to some level above its normal function. The best measure we can take to keep it working properly is to move our attention away from supplements and instead focus on creating healthy lifestyle habits, like eating a balanced whole foods plant based diet, moving our bodies every day, taking steps to avoid stress, creating healthy sleep habits, quitting smoking and cutting back on the booze. Oh, and the side effects of all of these lifestyle habits - as well as keeping your immune system healthy - include many significant, long-term physical and mental health benefits, improved energy, and longevity. These are the kind of side effects I like to see! 1. Hemilä, H., & Chalker, E. (2013). Vitamin C for preventing and treating the common cold. The Cochrane Database of Systematic Reviews,2013(1), CD000980. 2. Goran Bjelakovic, Dimitrinka Nikolova, Lise Lotte Gluud, Rosa G. Simonetti, & Christian Gluud. (2015). Antioxidant supplements for prevention of mortality in healthy participants and patients with various diseases. São Paulo Medical Journal,133(2), 164-165. 6. Peter Bergman, Asa U Lindh, Linda Björkhem-Bergman, & Jonatan D Lindh. (2013). Vitamin D and Respiratory Tract Infections: A Systematic Review and Meta-Analysis of Randomized Controlled Trials. PLoS ONE, 8(6), E65835. 7. Macpherson, H., Pipingas, A., & Pase, M. (2013). Multivitamin-multimineral supplementation and mortality: A meta-analysis of randomized controlled trials. The American Journal of Clinical Nutrition, 97(2), 437-44. 8. Punnoose, A. (2011). Dietary Supplements and Mortality Rate in Older Women: The Iowa Women's Health Study. JAMA, 306(21), 2309. 9. Li, L., & Werler, M. (2010). Fruit and vegetable intake and risk of upper respiratory tract infection in pregnant women. Public Health Nutrition,13(2), 276-282. 11. Wang, X., Ouyang, Y., Liu, J., Zhu, M., Zhao, G., Bao, W., & Hu, F. (2014). Fruit and vegetable consumption and mortality from all causes, cardiovascular disease, and cancer: Systematic review and dose-response meta-analysis of prospective cohort studies. British Medical Journal, 349(7969), 9. 12. A J Cooper, N G Forouhi, Z Ye, B Buijsse, L Arriola, B Balkau, N J Wareham. (2012). Fruit and vegetable intake and type 2 diabetes: EPIC-InterAct prospective study and meta-analysis. European Journal of Clinical Nutrition, 66(10), 1082-92. 13. Nieman, D. (2011). Moderate Exercise Improves Immunity and Decreases Illness Rates. American Journal of Lifestyle Medicine, 5(4), 338-345. 14. Morey, Boggero, Scott, & Segerstrom. (2015). Current directions in stress and human immune function. Current Opinion in Psychology, 5, 13-17. 15. Prather, A., Janicki-Deverts, D., Hall, M., & Cohen, S. (2015). Behaviorally Assessed Sleep and Susceptibility to the Common Cold. Sleep, 38(9), 1353-9. 16. Belkaid, & Hand. (2014). Role of the Microbiota in Immunity and Inflammation. Cell, 157(1), 121-141. 18. Jeong, Sang-Hee, Kang, Daejin, Lim, Myung-Woon, Kang, Chang Soo, & Sung, Ha Jung. (2010). Risk assessment of growth hormones and antimicrobial residues in meat. Toxicological Research, 26(4), 301-13. 19. Qiu, F., Liang, C., Liu, H., Zeng, Y., Hou, S., Huang, S., Dai, Z. (2016). Impacts of cigarette smoking on immune responsiveness: Up and down or upside down? Oncotarget, 8(1), 268-284. 20. Molina, P., Happel, K., Zhang, P., Kolls, J., & Nelson, S. (2010). Focus on: Alcohol and the immune system. Alcohol Research & Health : The Journal of the National Institute on Alcohol Abuse and Alcoholism, 33(1-2), 97-108. Newer PostDo Vegans Get Enough Protein?